All parents sometimes experience stress. Regardless of our family size or composition. No matter whether we’re working at home or away from home. For married parents and single parents too. Despite our differences, we all experience stress. While the degree of stress may vary from parent to parent and our individual stress levels may change from day to day, stress is simply part of the human experience. And given that stress isn’t one of those “more is better” aspects of life, many of us actively seek ways to reduce our level of stress. The challenge in reducing stress is that we need to understand it in order to consistently reduce it. If, for instance, we think busyness=stress, an obvious solution is to simplify. While this can — and frequently does help, parents who’ve simplified don’t suddenly become stress-free. In my experience — professionally and personally — stress has less to do with actual events in life than it does with our interpretations of those events. In fact, I’d say that the events themselves “create” just 25% of our actual “stress level.” This means that the majority of the stress that we feel comes from something else. . .
Our internal arguments with reality! In other words, the events that happen are reality: they are what IS. When we don’t like these real events, we typically fight against reality. These fights take place in our thoughts and sometimes even spill into our words and actions. 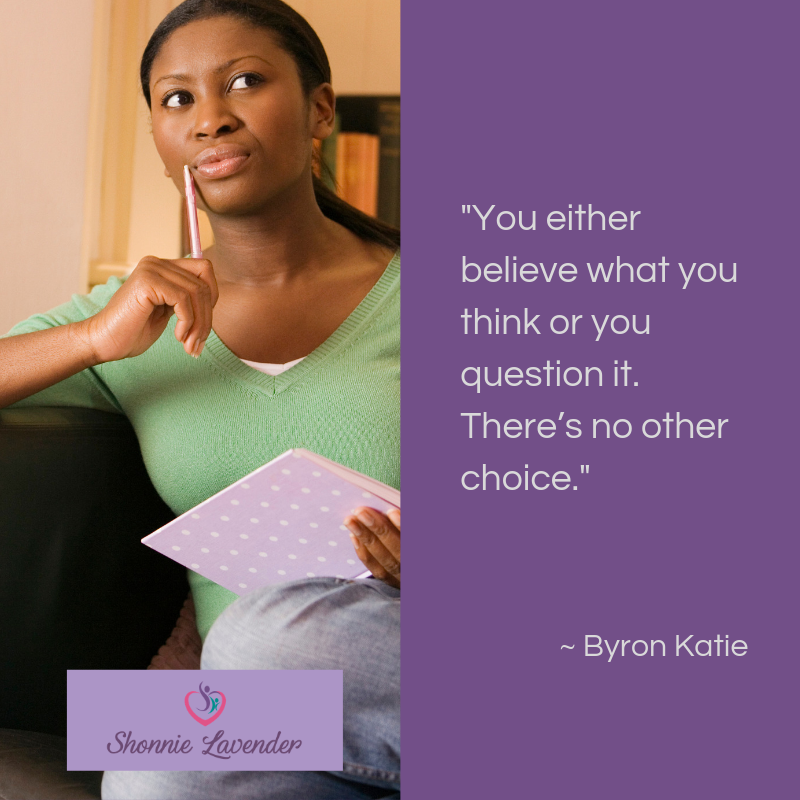 Our minds fill with negative judgments about what IS happening and our opinions about what SHOULD BE happening instead. Our reality-fighting thoughts are also packed full of LABELS about us and others as well as PREDICTIONS about what’s likely to happen or EXPLANATIONS about what all our other thoughts mean. This story — with all its details fighting the truth of what IS — is the source of most of our stress. Let’s make this concrete with some real-life examples. I’ve written them out below with the actual event first and then samples of what stress-inducing thought patterns might follow these events. Event: Your daughter hits her brother during the car ride home from school. Thoughts (that create the main stress-response): She knows better than to hit. He didn’t deserve that. They never get along. The ride home from school is always such an ordeal. I’ve tried everything to get her to stop hitting and nothing works. Event: Your son repeatedly gets out of bed instead of going to sleep. Thoughts: I’m never going to get to sleep because he won’t sleep. He’s just stalling. He’s old enough to sleep on his own. If he doesn’t get to sleep he’ll be so grumpy tomorrow. I have to get some time to myself. Event: Your tweens refuse to clean up after themselves. Thoughts: They’re so lazy/ungrateful/selfish. I’m the only one who cleans around here. They don’t care about anyone else’s living space. They’re old enough to pick up after themselves. I should give them chores. They won’t clean up unless there’s a consequence for not cleaning. Obviously this list could go on an on, but the point is that the events themselves are not the main reason for our feeling stressed out. 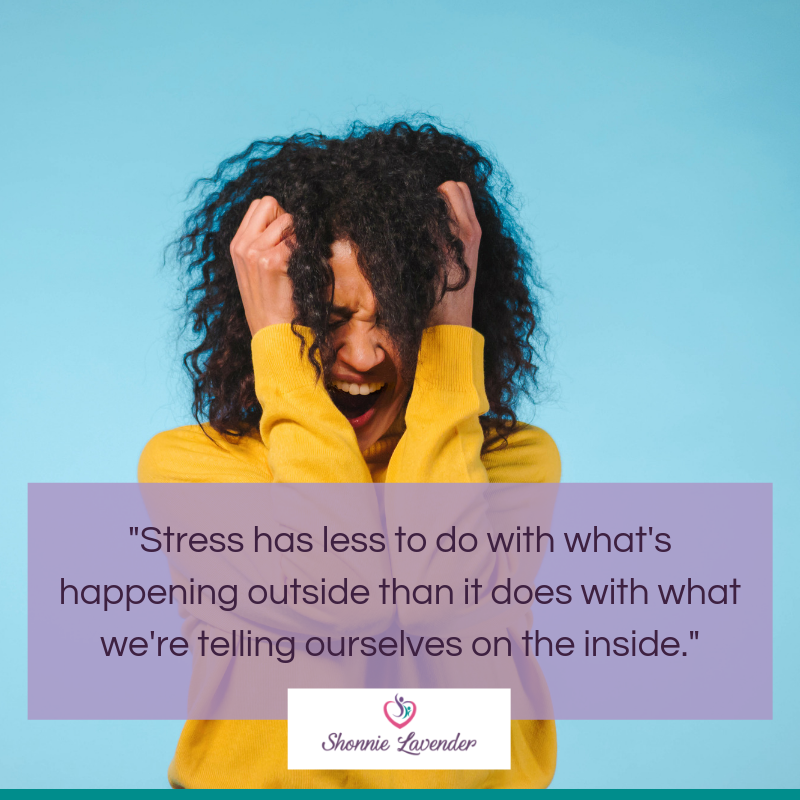 We create most of our stress by what we tell ourselves these real-life events mean about us, our kids, and the world around us. FYI, the purpose of telling you this isn’t to judge you or blame you for feeling stressed. It’s simply to help you recognize that there’s actually a lot you can do about the stress you feel. That “how to” will be the second post in this series, so stay tuned.